The Yamaha P-115 Digital Piano is an excellent option. The Yamaha P-45 and Yamaha P-71 are cheaper alternatives to the P-115 and still great starter digital pianos. Another great option is the Casio Privia digital pianos. AVOID Williams Allegro Digital Pianos – although the price is great, these digital pianos have inconsistency in feel and sound. Also, my experience is that they are not as durable as the Yamaha and Casio brand digital pianos. Looking for more information about piano lessons in Huntington Beach? Here are some answers to FAQ’s on the Private Piano Lessons Page. Samara Rice Music’s FIRST ever Virtual Recital 2017 is now on YouTube! During the busy holiday month of December, we all know it can be just a bit much to squeeze in another holiday party, event, or recital. 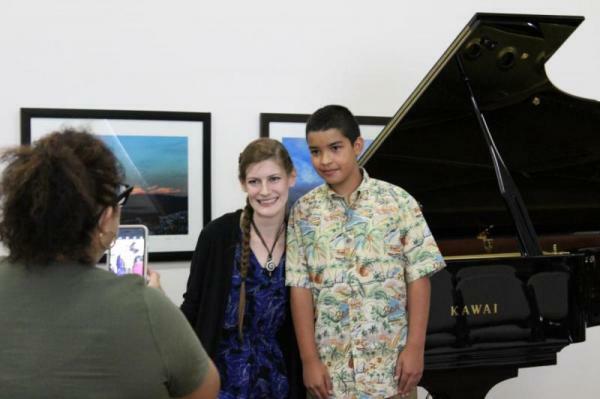 But I still wanted to highlight the amazing achievements of all the budding musicians taking piano and voice lessons each week in Huntington Beach. So at Samara Rice Music we decided to try something a little different this year. A virtual recital watchable from the comfort of your own home, sharable with relatives and friends in other states or countries, and no extra commitment outside of the students’ regular lesson time-slot. Students practiced their chosen piano or voice recital pieces for the months leading up to the the virtual recital 2017. Then during lessons students recorded playing each piano piece in the Huntington Beach studio. The experience was quite like a traditional recital when the nerves kicked-in. But unlike a traditional recital it was quite easy to delete the video footage and try again! What an amazing experience! 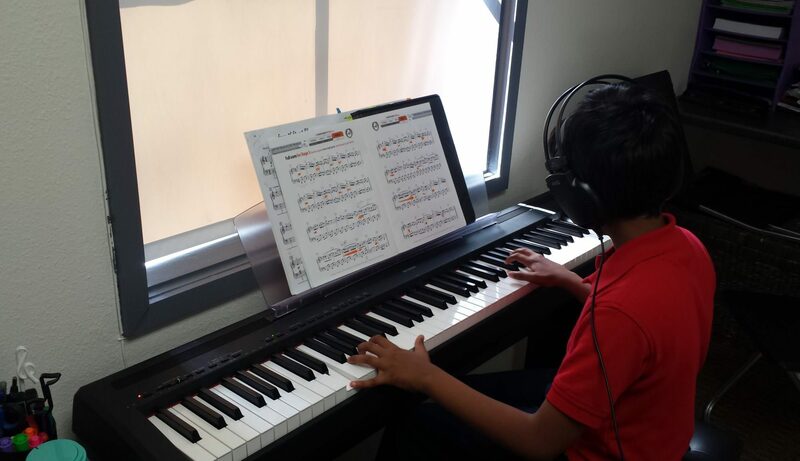 Students are highly encouraged to continue making videos of their progress throughout the year to make a “virtual” video scrapbook of their piano studies. 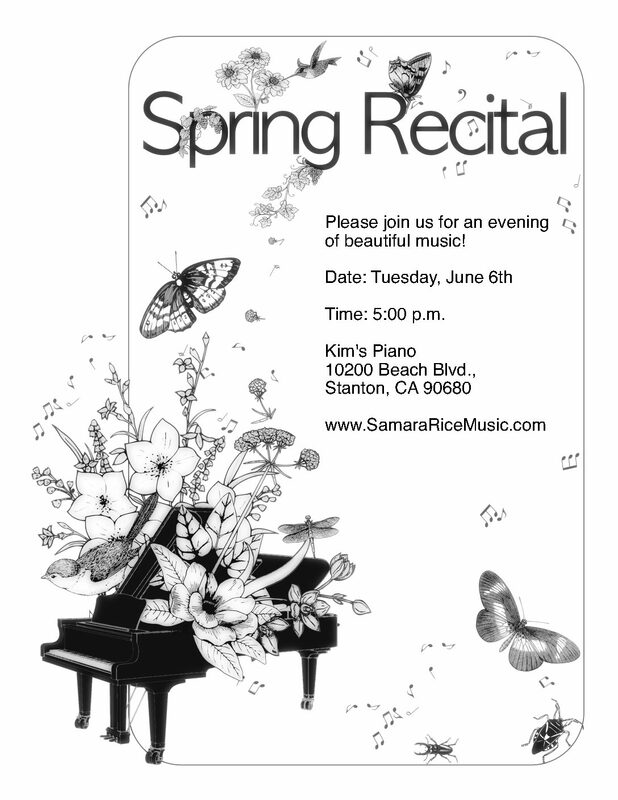 Congratulations to all the piano and voice students of Samara Rice Music for their Virtual Recital 2017 performances! Looking for more information about piano lessons? Here are some answers to FAQ’s on the Private Piano Lessons Page. What wonderful piano performances and festive costumes! I’m so proud of every single student for their dedication and hard work in preparing for the Halloween Recital. 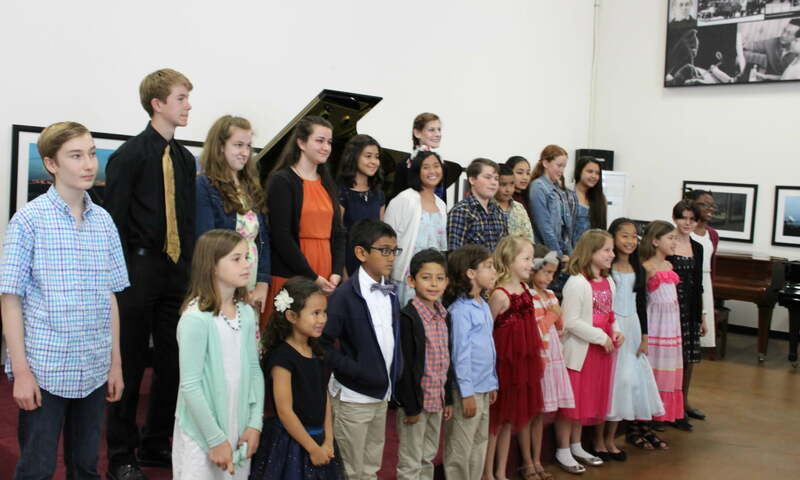 Many of the student that performed are beginning piano students with only a couple of months lessons so far. Luckily the costumes made it a fun and silly first performance experience. Want to know about piano lessons for kids in Huntington Beach? 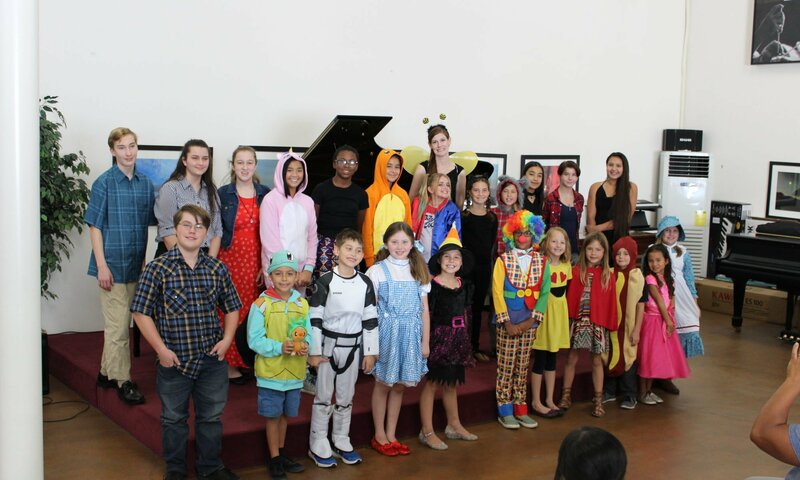 Or maybe your kid wants to play some spooky or silly Halloween piano music in Samara Rice Music’s 2018 Halloween Recital? Call Samara to schedule lessons: (714) 794-5089 or head over to the contact page.